Korea is the only divided country in the world. held February 9 to 25, in Korea. Q) How was it to watch the 2018 Pyeongchang Olympics Torch Relay? It was amazing to watch the torch relay. I very much look forward to the upcoming Olympics. Also, I heard the torch relay travels all around the country until ti reaches Pyeongchang. Truly, it will be a wonderful festival to all of us. This kind of event it's a once in a lifetime experience. I never experienced the Olympics before in my life so it's really great to come out and make these really great memories with my friend today. And just have a good time. Q) It has been 30 years since the Republic of Korea hosted the Olympics in 1988 in Seoul. How does it feel to celebrate this occasion as a Korean citizen? There have been many talks about hosting the Pyeongchang Olympics but is seemed unreal until now as I am watching many celebrities now participation in the torch relay. Now, I can truly feel that we are hosting the Olympics. Through hosting the Olympics, North and South Korea relations have improved a lot, so I wish the best for this meaningful event that we are hosting under such circumstances. I think it's really great as the Olympics are a worldwide event and it really shows the potential of each person and those athletes are symbols of what we can achieve if we have the right mindset and if we follow our dreams. Q) What do you anticipate the most at the Pyeongchang Olympic? I am very excited about the opening and closing ceremonies because the Olympics is also the cultural event. Also North and South Korea have been exchanging great dialogues lately. I hope both the North and South will deliver more peace news to us so we can no longer point guns at each other but rather encourage one another and exchange good dialogues. Passion Connected Pyeongchang Olympics Fighting~!! When is the opening of 2018 Pyeongchang Olympics? 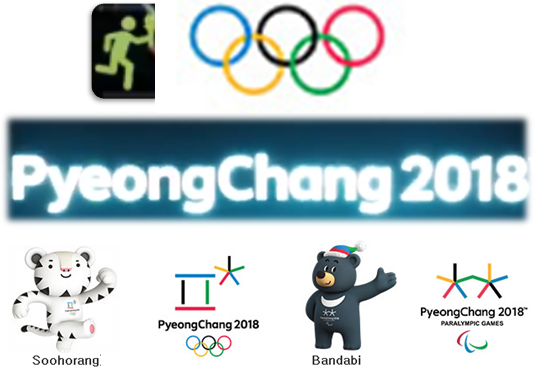 What are the names of the Pyeongchang Olympics' two mascots? - The answer to the first quiz ⇒ It's just "Tomorrow(Feb.9th 2018)"
※ Wow~ Seoul(South Korea) and Pyongyang(North Korea) form one team for a big international sports event to form a better relationship between the two Koreas. 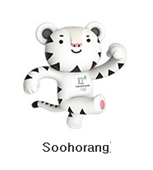 - The answer to the second quiz ⇒ The mascots' names are Soohorang and Bandabi. ※ Soohornag is a white tiger and Bandabi is an asiatic black bear.